The last thing I needed was to have my journalism class publish a book on how college teaching can be better. No one wants to be the smarty-pants prof who presumes to school colleagues on teaching. The fact is, we all struggle with it. My initial reaction was a knee-jerk no. As you might guess, the idea came out of a meeting I did not attend. Roiled by cultural calamities in the classroom, faculty members in the Michigan State University College of Communication Arts and Sciences decided a book could help profs know better. Our special sauce was that this book would look through student lenses. Several profs told us they would like to write books telling students how to do college. But there are plenty of books from that point of view and almost none by students. Journalism professor Howard Bossen suggested that my Bias Busters class do it. Bias Busters publishes books like “100 Questions and Answers About African Americans.” We published 11 through 2016. The books are meant to be conversation starters for people who want to learn from each other. When Associate Dean of Research Kami Silk offered to seek university funding for a book, I reversed course. 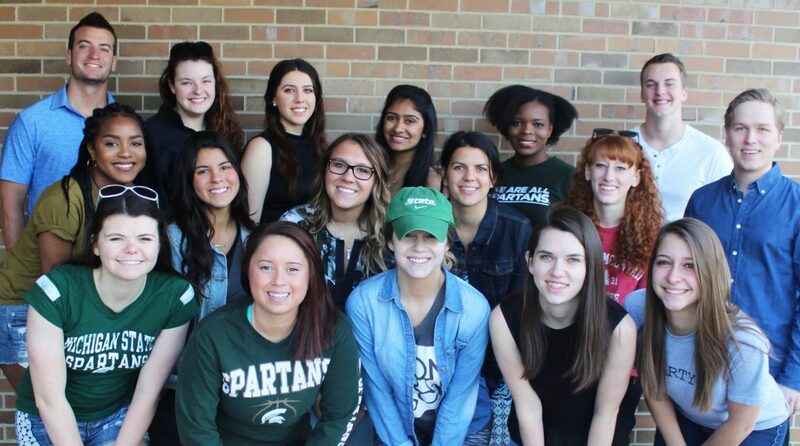 We received $21,200 from the MSU Office of Inclusion and Intercultural Initiatives, mostly to buy copies of what we published. We used statements by students across Michigan State University and other campuses as trailheads. Horror stories and hero stories would lead off each chapter. We called the book “To My Professor: Student Voices for Great College Teaching” and asked students to write notes they would like their profs to see. We used index cards, social media and interviews. The project was similar to one in which Colorado teacher Kyle Schwartz asked her third graders to write notes that begin, “I wish my teacher knew …” Schwartz said the key is to give students at every age a chance to say what is really on their minds and to hear them. Were the comments, even the tweets, legit? Communication Arts and Sciences Associate Dean for Undergraduate Education Ann Hoffman said she had seen every situation reflected in the book. Associate professor Rabindra “Robby” Ratan shared advice with other professors about reaching and engaging students. Photo courtesy of Joe Grimm. • Profane professors: Tactical or tacky? After the book came out, the new authors described their experience in emails. Several professors declined free copies of the book. Not everyone who accepted one liked it. MSU Advertising and Public Relations professor Robert Kolt read the book and then stabbed an email into his iPhone: “… it was an easy read, well-written, several of my talented former students contributed and made me proud, and I didn’t put the book down. “I completed reading the book this afternoon. You had said at the faculty meeting that you were interested in faculty feedback. “No insult intended, but I didn’t like the book at all. I have no doubt many of the awkward things that were described in the book did in fact happen, but I just didn’t see it. Seriously, in my 24 years teaching at MSU, I can only recall one or two very minor incidents that were even remotely similar to any events described in the book. I solve problems every day, so taking positive action quickly to achieve good results just seems natural. … The most rewarding thing about teaching is developing great friendships with students that have lasted my lifetime. Others, lots of others, bought the book. In October, the book sold 218 copies on Amazon and briefly rose to No. 386 among all Amazon books. In December, Bryant and Stratton College in Buffalo ordered 34 copies for its faculty. The book has helped at least one professor: this editor. Now, I spend more time in class and office hours to get to know my students better. I demand more. We have about 10 strategies to discourage plagiarism and fabrication. I try not to assume too much because the project taught me that every student has a different story. What about you? What could students tell you about great college teaching? Free offer: I will send a free digital edition of the book to anyone who emails me and agrees to read it and post an Amazon review or respond to a survey about it. Joe Grimm is visiting editor in residence in the Michigan State University School of Journalism. He teaches reporting, editing, career branding and his students publish a series of guides to cultural competence as Bias Busters. Before joining MSU in 2008, Grimm worked at the Detroit Free Press for more than 25 years, 18 of them as the @newsrecruiter.